AS16-117-18853 - what is that? 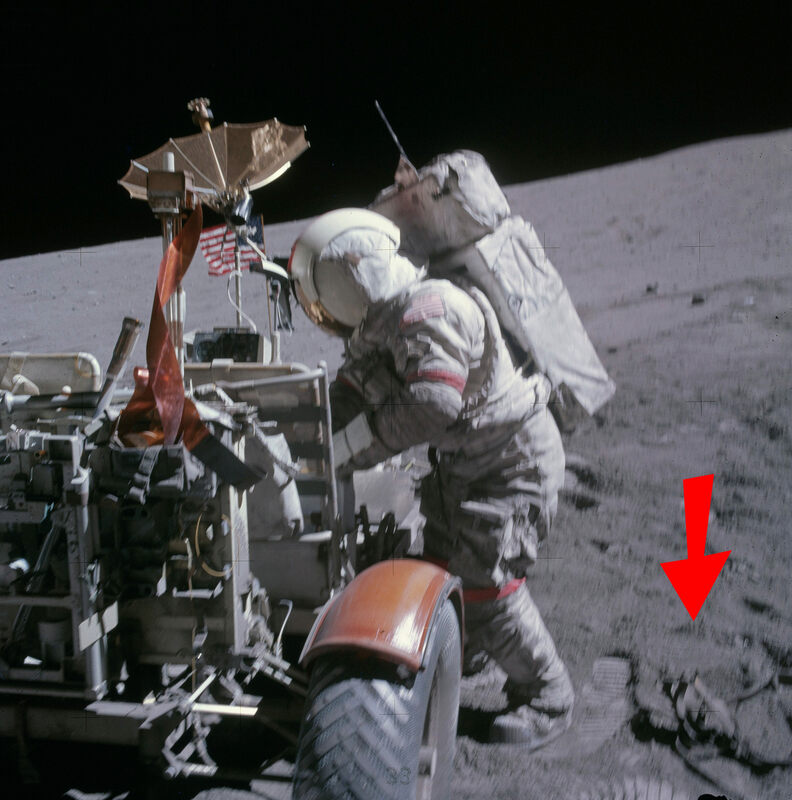 This particular image - AS16-117-18853 - was shot during the Apollo 16 lunar surface ops, showing Charlie Duke near the LRV. The raw frame suffers from some significant motion-blurring, but there still appears to be something bizarre in the bottom right corner of this frame. 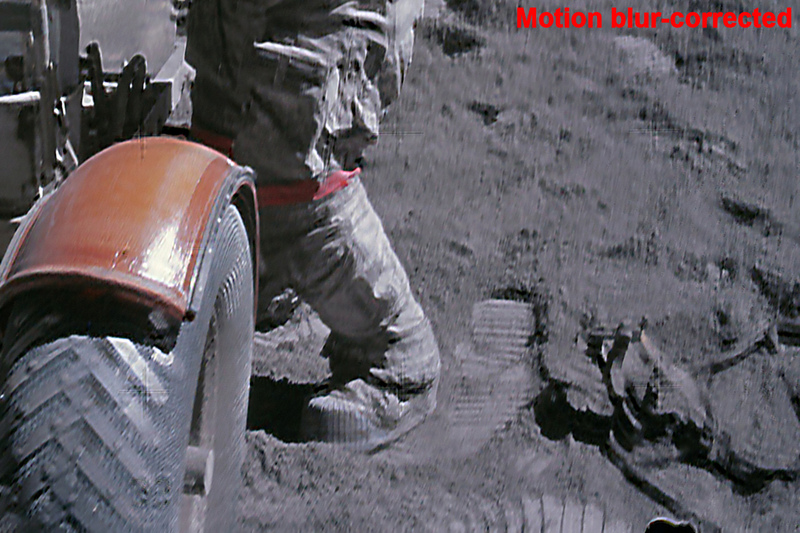 What is that shape on the lunar surface we see there? Re: AS16-117-18853 - what is that? 170:17:40 Duke: Take a look. 170:17:56 Duke: What did you say, Tony? 170:17:57 England: ...seven Hasselblads and three DAC magazines...Actually be six in there right now; one's still on John's camera.